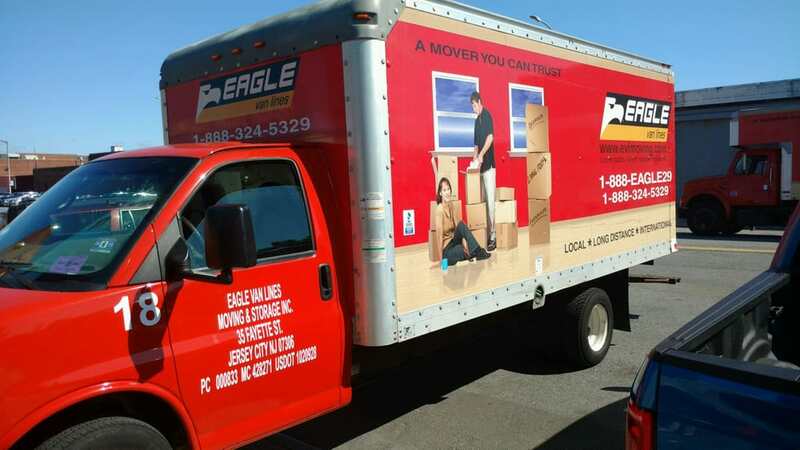 Thinking about hiring a moving company for your next move, then look no further than Eagle Van Lines moving and storage for exceptional service.From your first call to our sales representatives, you will find that they are not only courteous but come with valuable knowledge and experience that comes from working in the field as movers. This benefits you the the customer, for they are able to limit the guess work and provide you with realistic quotes.Our company is family owned and operated since its inception back in 2002. Since we are a small company we have to place all our emphasis on customer satisfaction and we can proudly say that it has paid of greatly through the years. We now boast a 99% return customer rate, who also refer us to their families and friends.Eagle Van lines moving and storage has been in business since 2002 and comes highly recommended by the 'BBB' with an 'A+' rating. Our company specializes in local,commercial, long distance and international moves.No move is too small for us or too big for us, so call today and let's get the ball rolling. Established in 2002. Eagle Van lines has been in business since 2002 and is a proud member of the 'BBB' with an 'A+' rating. 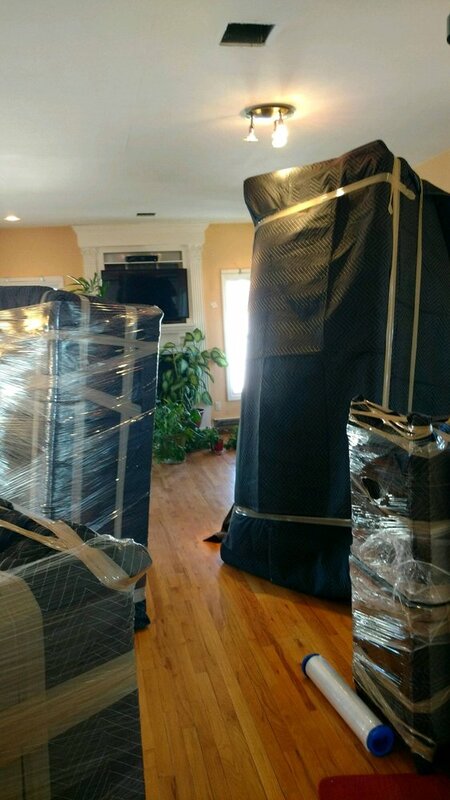 We are a family owned business that brings many years of experience to make your move a less stressful and smooth one. They were amazing! I highly recommend them for your next move. Dan did great with the in-house estimate. 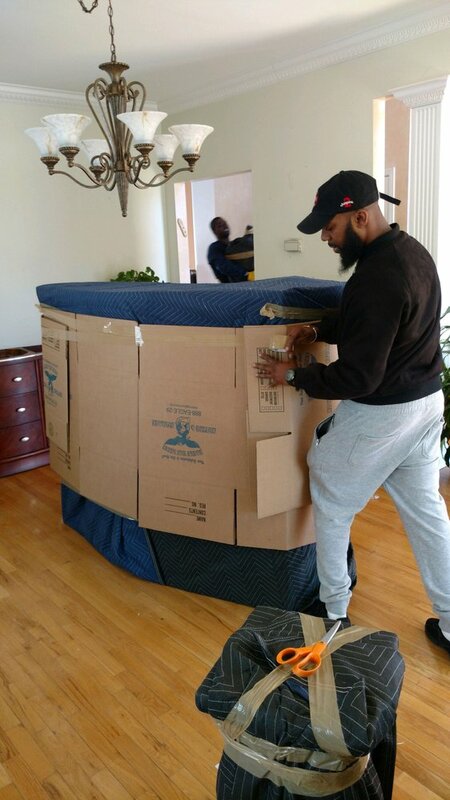 The movers Solomon and YaYa and crew were punctual and professional from start to finish. Im pretty late with this review. I moved from Staten Island to California and this company packed me and moved me what a nightmare!!! The first bad thing was that I had missed my flight and called them immediately and they said too bad I had to now pay them something like and extra 500.00 because I would be late because I missed my flight . Well the next day the packers showed up to my home and they made me sign paperwork to do the packing and to handle my belongings. Then the head guy gives me another piece of paper that had my total on it and a 15% tip and the final total. I had only agreed to 5,500.00 nothing more. If I give a tip it is entirely up to me and only after the job is done if I feel I can or want to. So they proceeded to argue with me that they wanted a 15% tip and kept circling the 15% figure on the sheet. I got on the phone with the office and asked why I wasn't told that I was obligated to give another $825.00!!! I had flown in to meet them at the condo and was unaware of such charges. They said I could give a tip if I wanted to but wasn't ABLIGED to and said NO THIS GUY WONT START UNTIL HE GETS ALL THIS TIP FROM ME! So the guy probably was told that he should leave me alone when he got on the phone with his supervisor but after he got off the phone he kept saying to me my guys have a big job ahead of them do you think you could buy them some food? I'm saying to myself this guy is a damn joke!! I said to him I didn't have anything I met him there so he could pack and move my stuff. I started to help them a bit with throwing away things I didn't want and then they thought that it was a signal to them when they saw something they wanted to ask me if I wanted it so they could have it. How unprofessional! I wasn't too surprised with this bunch though. Then they started to pack each room until they were done. All day long they were angry and mad at me because I didn't tip them in the begining. They trashed all my stuff. To give you an idea they took my utensil draw in the kitchen and dumped it over upside down and shook all my knives forks and spoons and threw them in the box like they were trash. They stole/lost so much from me. All my Bradford exchange plates were stolen/lost my mixer and CDs and countless other items smashed and destroyed. When it was finally time to have my stuff delivered they called me throughout the process and delivery was only 3 days late which I consider myself lucky. They hired 3 rogue men to deliver my belongings. They broke so much stuff on me and damaged the walls but what hurt the most was my Thomasville double dresser that was about 1,000.00 The guy went up there to put the mirror on for me and he took his drill and broke a piece off my dresser and just left it there and ran out the door after taking a tip from me. I didn't find it till he left. Then I tried to put a claim in and they never paid me. Worst moving experience!! !I was moving from my secondary address in Hoboken to another in Newark, NJ. The building in Newark had a time slot for the service elevator that I reserved from 3-5 and the movers knew about this and were supposed to come between 2-3. They missed the time slot by almost two hours and came at 4:40. Only because of the building graciousness I was able to move in. Not only that, they did not answer calls from my phone number. I had to use my brother's number so they thought it's a new customer and only then they picked up. Finally, despite not providing the services provided, they also requested $89 more dollars at the very end (extortion) or else they threatened to drive my stuff to their warehouse. This is despite the fact of being late and the fact that I chose this moving company because they told me over the phone they're giving me a flat rate of $400. They made me list every little item (including a small suitcase) over the phone since they said for flat rates these are the rules.I also gave the guys actually moving the furniture $50 in tips since they (but not the owner who extorted me over the phone) were nice, only to later discover small pieces (edges) of my bedroom furniture were broken and the handles to open the drawers were crooked. Definitely do not recommend this company to anyone. Fraud from beginning to end. Apparently my first review was too long! So let me make it short and sweet! If you want items left behind, broken, lost or best a couple of thousand dollars in jewelry stolen. Or air looms you were hoping to pass on.. then this company is for you!!!! Short enough?? 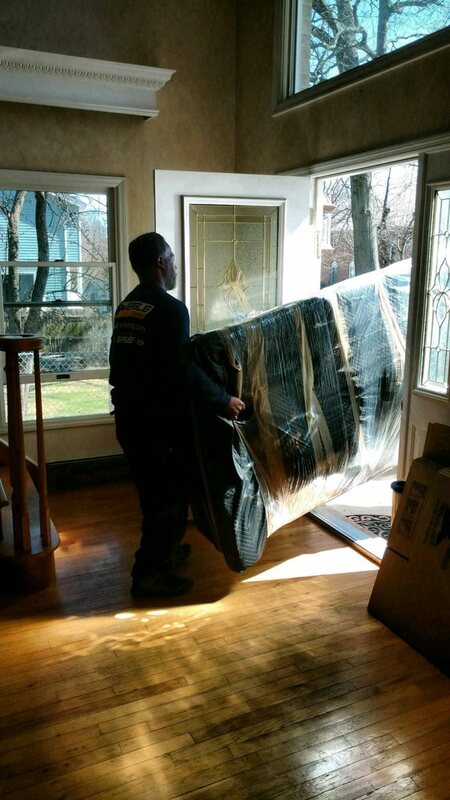 I hired Eagle Van Lines for a move from Staten Island, NY to Hunterdon County, NJ after a friend recommended them - I could not imagine a better move ! 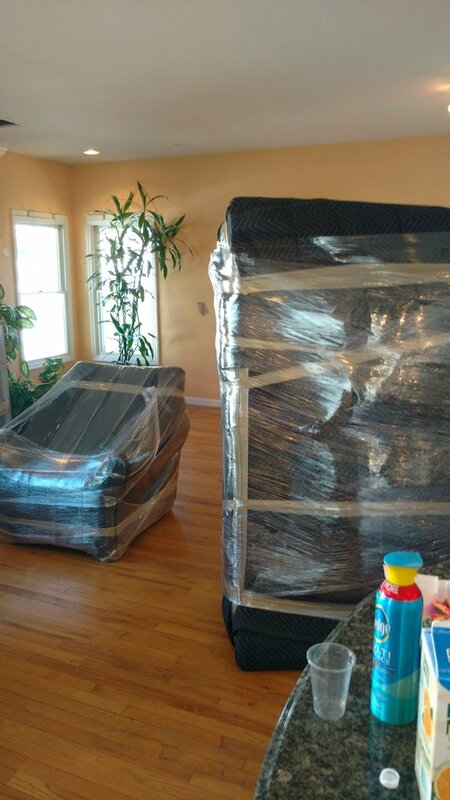 I must admit that I am suspicious of all movers as I have heard so many bad stories. But Eagle Van Lines was superb ! The owner, Eli, assessed the job and give us a firm quote price, his team arrived the day of the move with a great attitude and work ethic - super nice and profesional guys. We hired Eagle a few weeks later to move my mom as well and she had the same great experience. We definatley recommend.